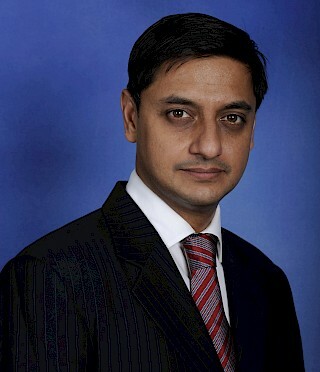 Sanjeev Sanyal is Former Visiting Senior Fellow at IDFC Institute. He is an economist, bestselling writer, environmentalist, and urban theorist. He is currently the Principal Economic Adviser in the department of economic affairs in the Ministry of Finance. Previously, he was Managing Director and Global Strategist at Deutsche Bank and is considered one of the world's leading financial sector economists. A Rhodes Scholar and Eisenhower Fellow, he was named "Young Global Leader 2010" by the World Economic Forum in Davos. In 2008, CNBC profiled him as a "Young Turk" in recognition to his contributions to Asia's financial markets. The Singapore government honoured him as a Young Leader 2014 at the World Cities Summit held in June 2014. He is also the author of three best-selling books "The Indian Renaissance: India's Rise after a Thousand Years of Decline", "Land of the Seven Rivers: A Brief History of India's Geography", published in 2012 and "The Incredible History of India's Geography" published in 2015. He has been a member of the Steering Committee of "Urban Age" at the London School of Economics and is also a Senior Fellow of the World Wildlife Fund. He is the co-founder and Director of GIST - a think-tank that is a pioneer in the field of environmental accounting. He has been closely involved with Aavishkaar MicroVenture Fund which won the UN's World Business Award for 2006. He has been an Adjunct Fellow of the Institute of Policy Studies at the National University of Singapore and a Visiting Scholar at Oxford University. In 2009, he joined the Board of Governors of AFPRO, one of India's largest organisations working on food security and has also advised the UK government, United Nations Environment Programme, and other international agencies. He writes frequent columns for Project Syndicate, Business Standard and several other publications. The End of Equilibrium Economics? Visiting Fellow, Sanjeev Sanyal says simplicity and flexibility are the key to manage increasingly complex world. Sanjeev Sanyal, Visiting Fellow at IDFC Institute, shares his views on the idea of India, the Indian economy, and reforms in an interview in the Mint. In this article in The Week, Sanjeev Sanyal discusses the absence of balance in India's intellectual establishment. Playing the story-teller for India, Sanjeev Sanyal presents a case for a revamped version of Indian history through this informative video.